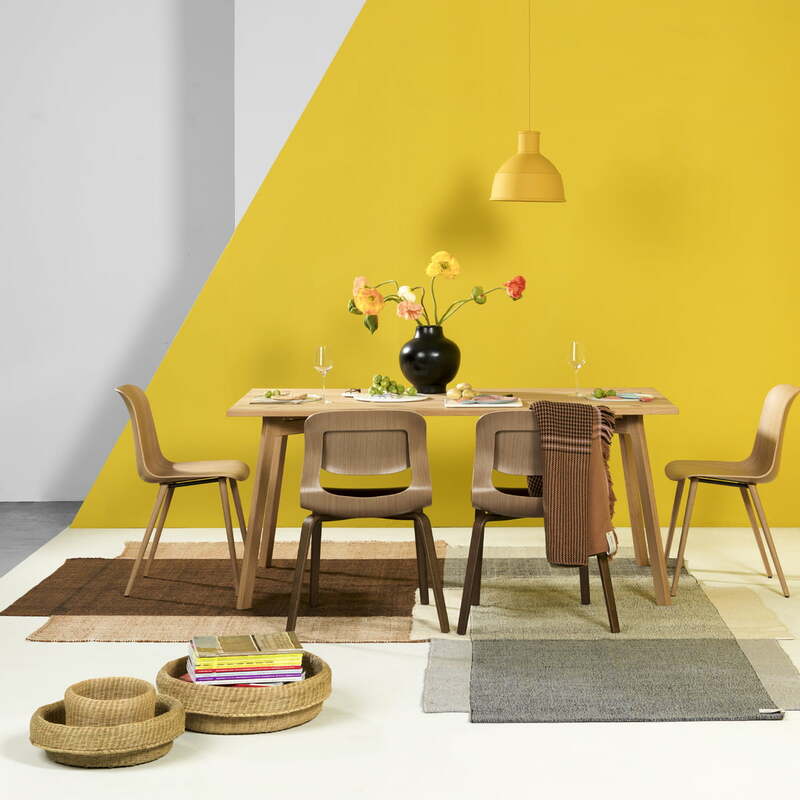 Fibra is a series of baskets that is intended for all those small everyday objects: the keys in the hallway, the fruit in the kitchen or accessories and decorations in the living room or bathroom. Depending on the size, the baskets can be used for different things. Handmade in Colombia, each basket is unique! 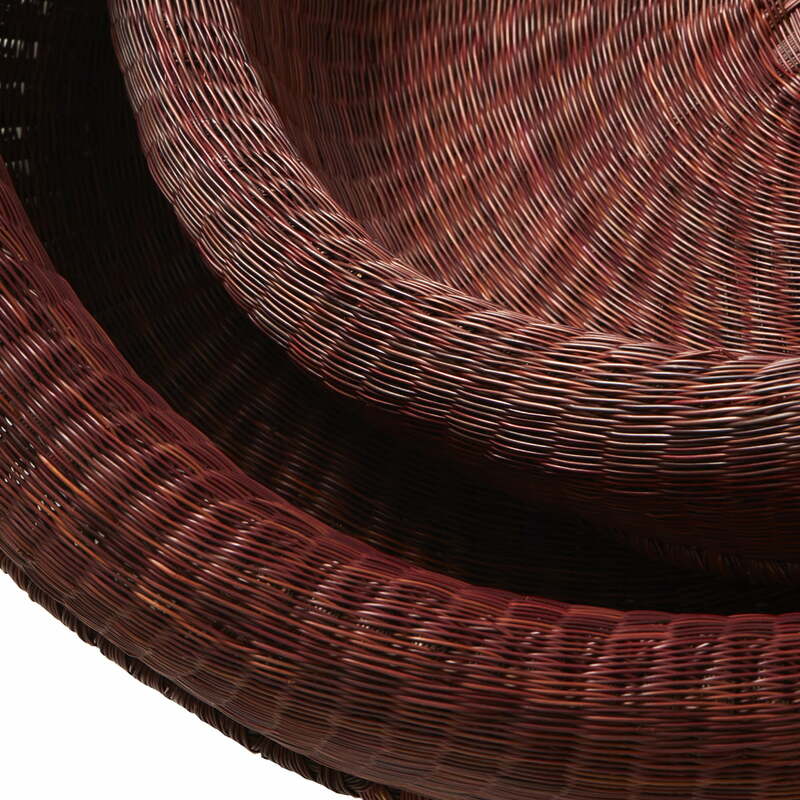 Esparto grass is used as a material for the baskets designed by Sebastian Herkner, growing in the Colombian Highlands at a height of about 2,600 meters. After the harvest, the grass is dried and then dyed, mainly using natural dyes. 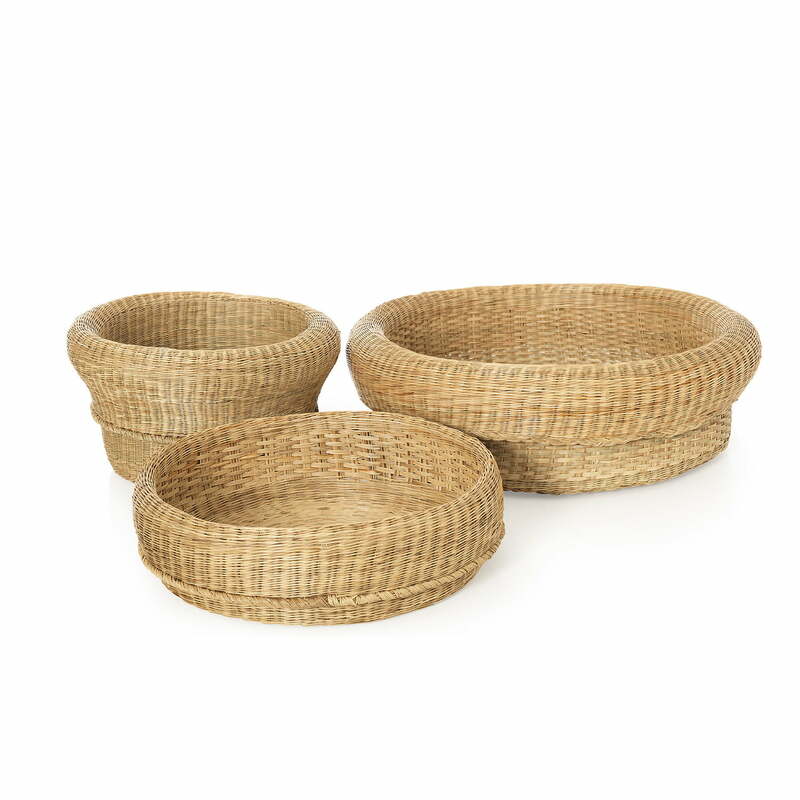 The Fibra baskets are available in three different sizes and in natural shades of red, black or brown. 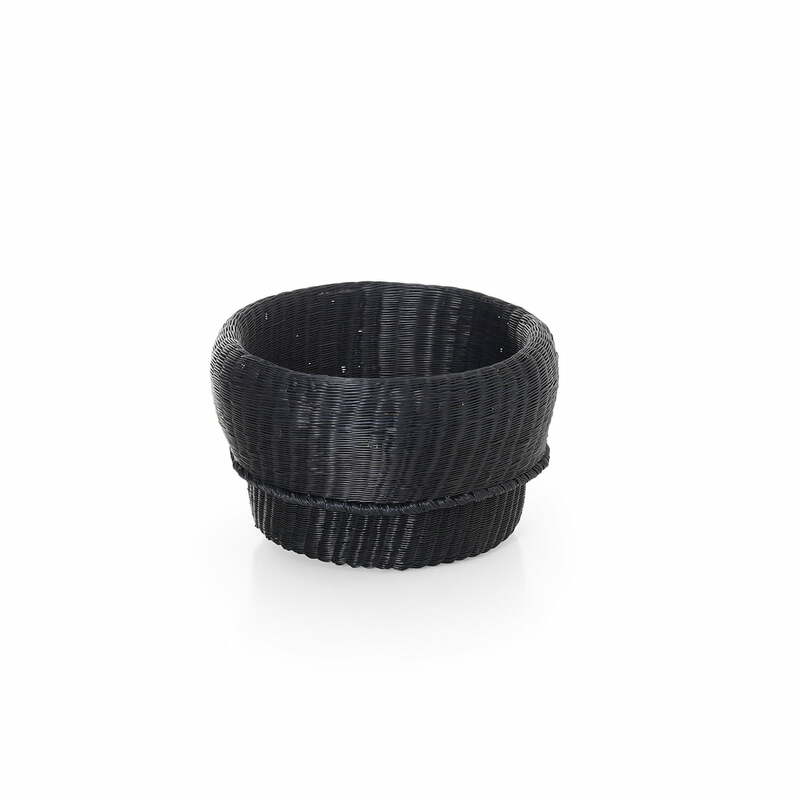 Isolated product image of the small Fibra basket by ames in black. 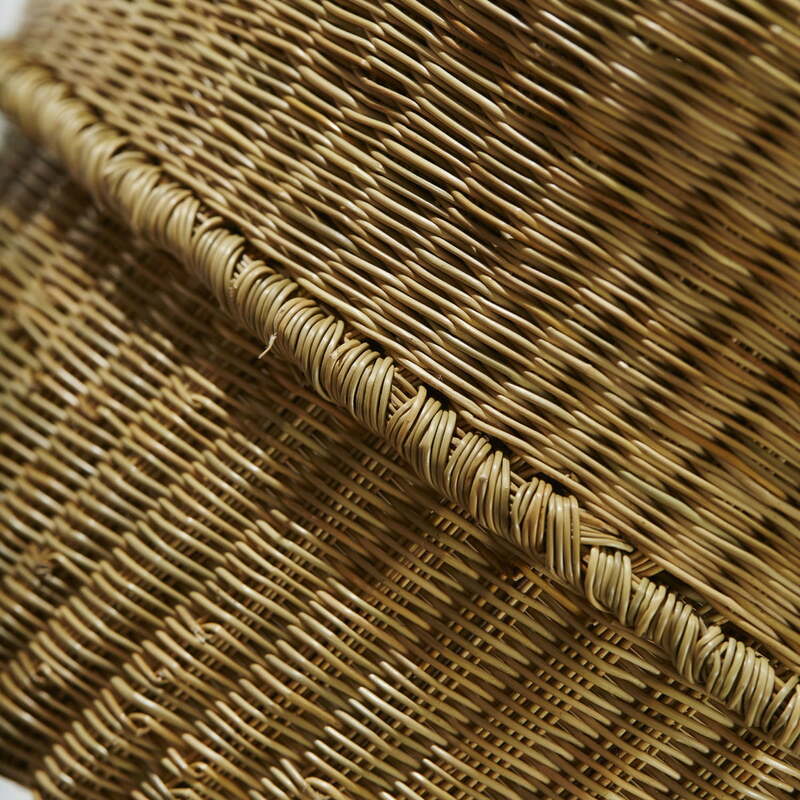 Esparto grass is used as a material for the baskets designed by Sebastian Herkner. Fibra is a series of baskets that is intended for all those small everyday objects: the keys in the hallway, the fruit in the kitchen or accessories and decorations in the living room or bathroom. 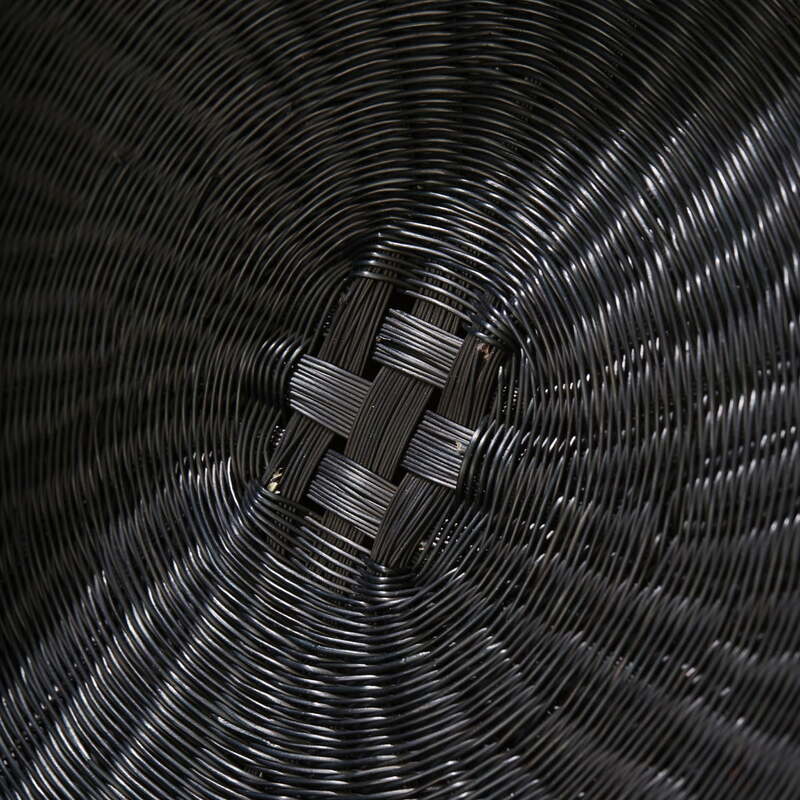 Group view of the Nido cushion in the hand-woven Fibra basket by Sebastian Herkner for ames. 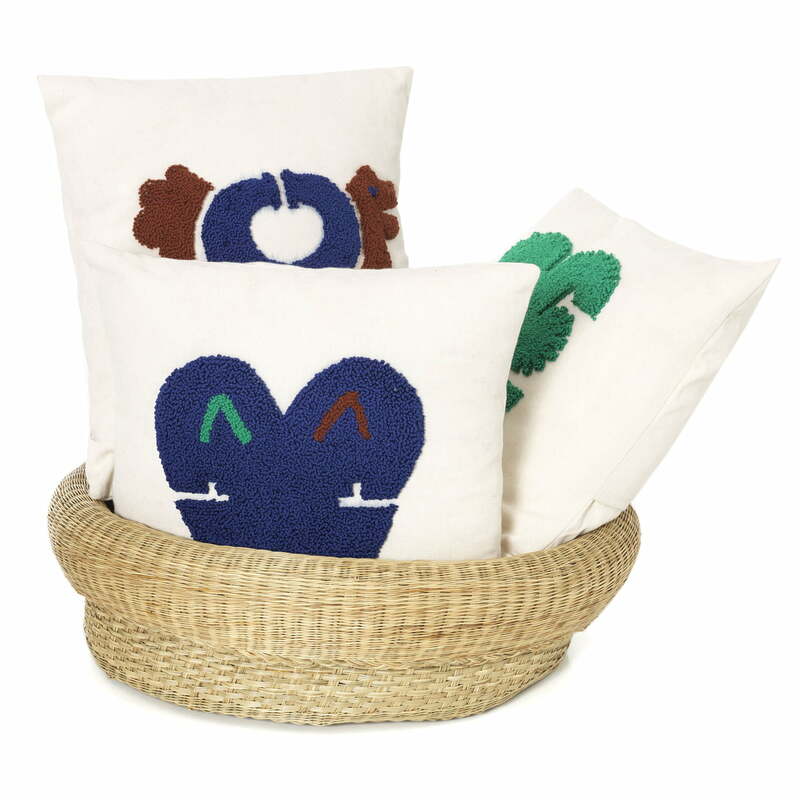 High-quality, hand woven accessories with folkloric charm. Detailed image of the Nobsa carpet in earthy tones: red, ochre and cream. 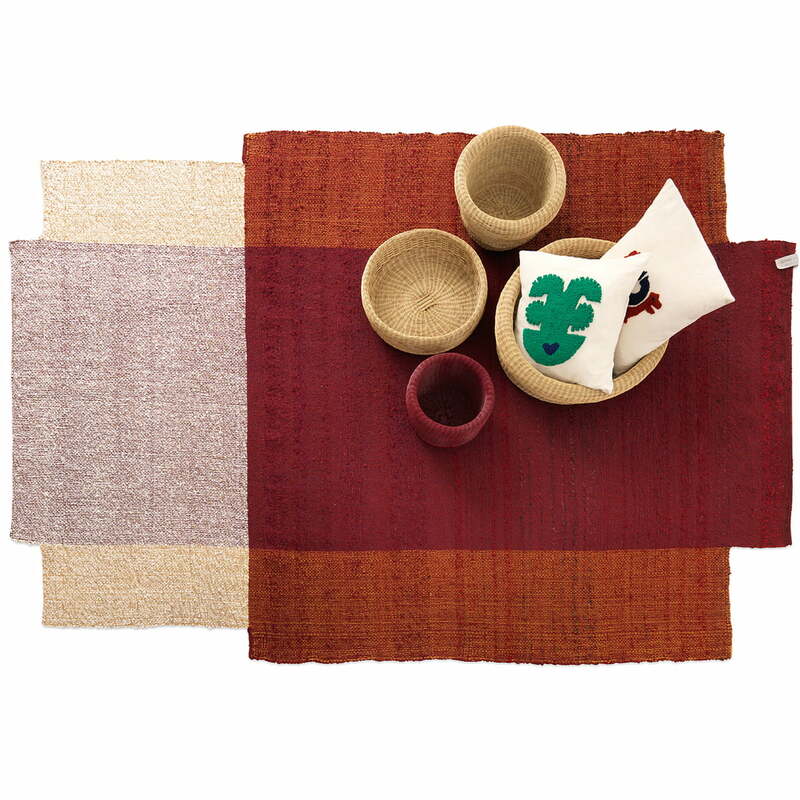 The handmade rug can be used in different ways with other accessories from the Sala collection. 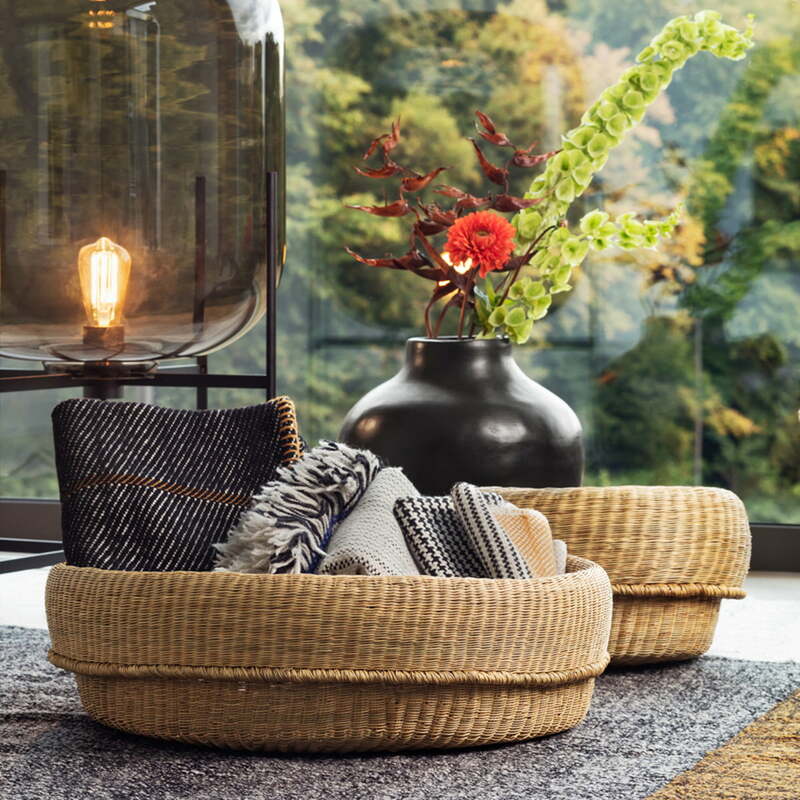 The Fibra basket and the Nobsa carpet by Sebastian Herkner for ames in an ambient setting. The ames's products fit wonderfully into any room situation. Grass is used as material for the baskets designed by Sebastian Herkner Esparti, which grows in the Colombian Highlands at a height of about 2,600 meters. 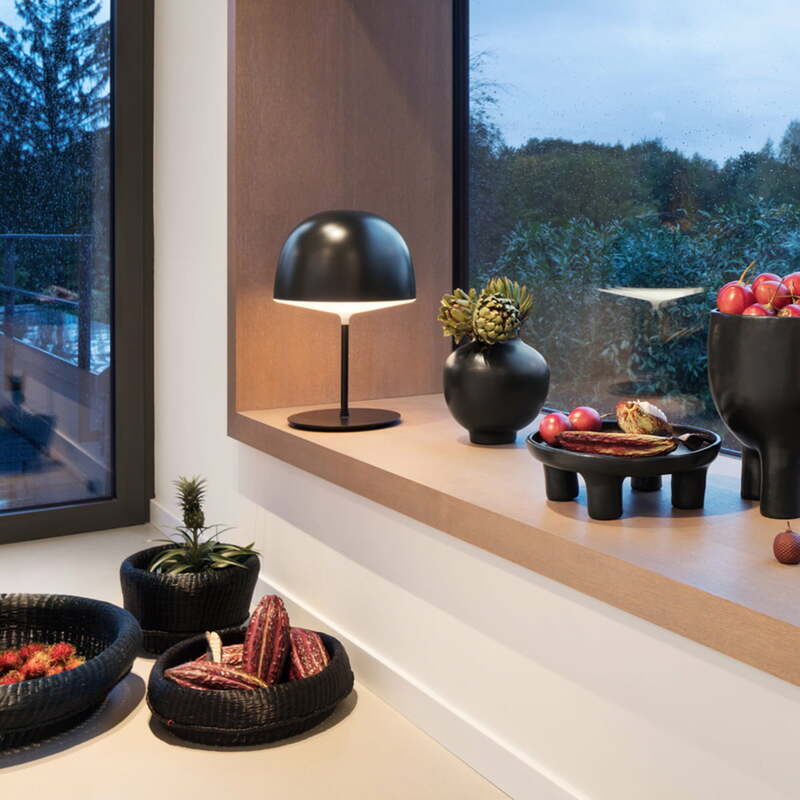 The Barro products are available in various sizes and variations, not just to use as plant pots, but also to present accessories or fruit in a stylish way. The ames designs combine craftsmanship with contemporary charm. 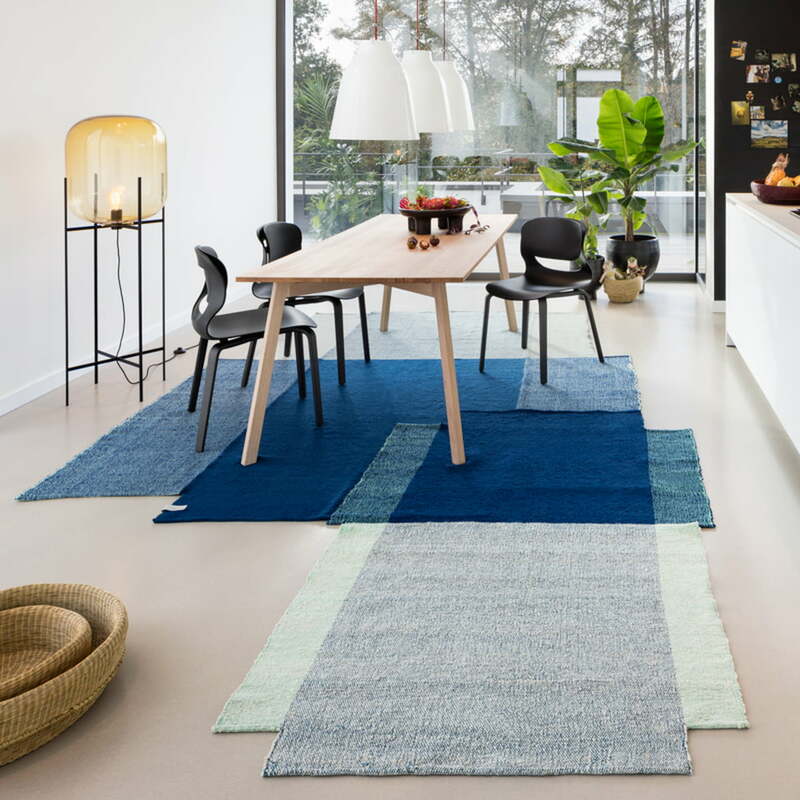 The Nudo rug and the handmade ceramics Barro complement each other in a harmonious way.